On Monday during the People’s United Party’s press conference, the party’s legal adviser, Senior Counsel Andrew Marshalleck, gave reporters a primer on the issue of legal immunity. As he explained, the new legislation passed by the Government concerns enforcement of the judgments, and for the most part have no effect as the U.S. Foreign Sovereign Immunities Act shields national reserves from attachment, leaving only commercial funds from Government activity open. 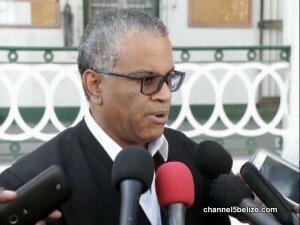 Today Eamon Courtenay concurred, stating that the Prime Minister told a falsehood in an attempt to rally support for the legislation and that there has been no attempt to go after the national reserves.